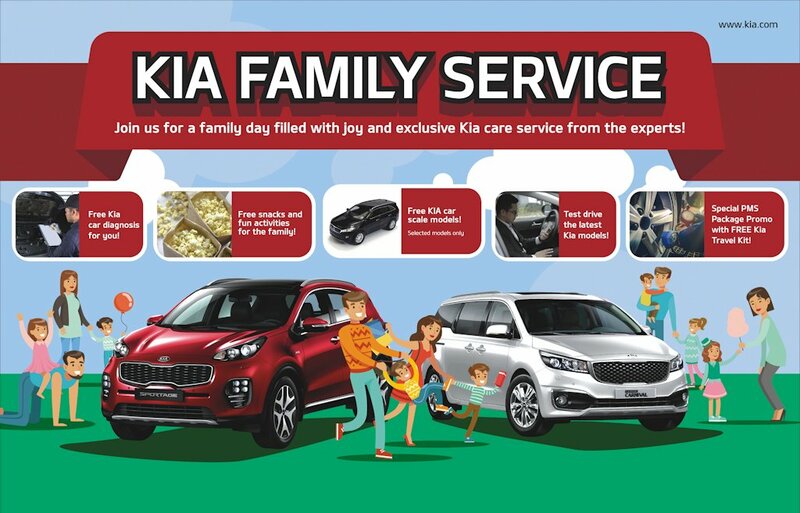 Prepare for an enjoyable weekend filled with food, games, and other fun activities as well as exclusive gifts when Kia’s Family Service rolls into town. Join Columbian Autocar Corporation (CAC), the exclusive distributor of Kia vehicles in the Philippines, in welcoming the new team and management behind Kia Pasay on Saturday, July 8. Kia’s special Family Service caravan is set to bring the fun party atmosphere to the Pasay dealership with a Fiesta-themed affair for the whole household to enjoy Take advantage of free diagnosis for Kia vehicles, avail of the special PMS packages and pick up one of the exclusive Kia die-cast scale models that will be available at the event. The whole family can come and enjoy all the free snacks and fun activities set up for the day as well. Kia Pasay is located at #2316 Aurora Boulevard, Pasay City. Call 02-616-4732 for more information.